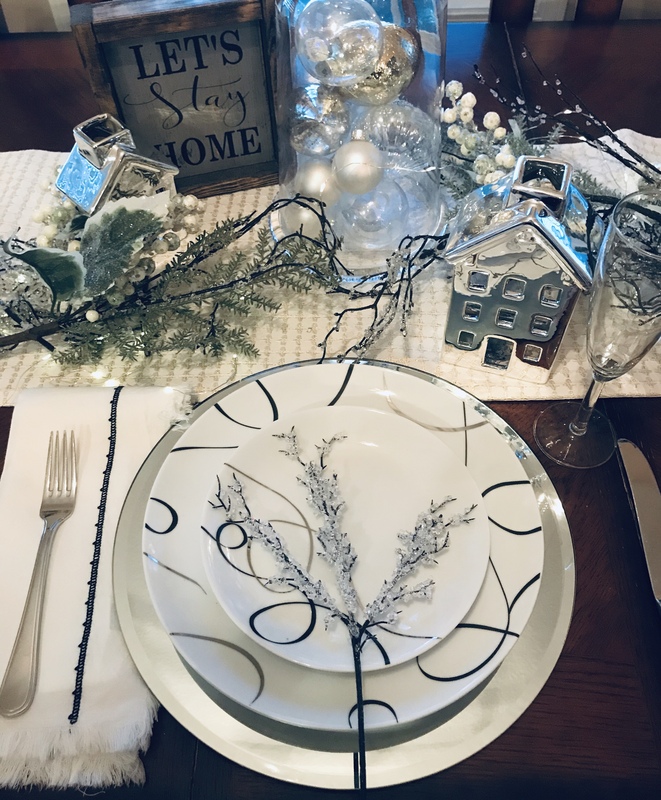 It is a wonderful time of year to dress up your home…and your table! 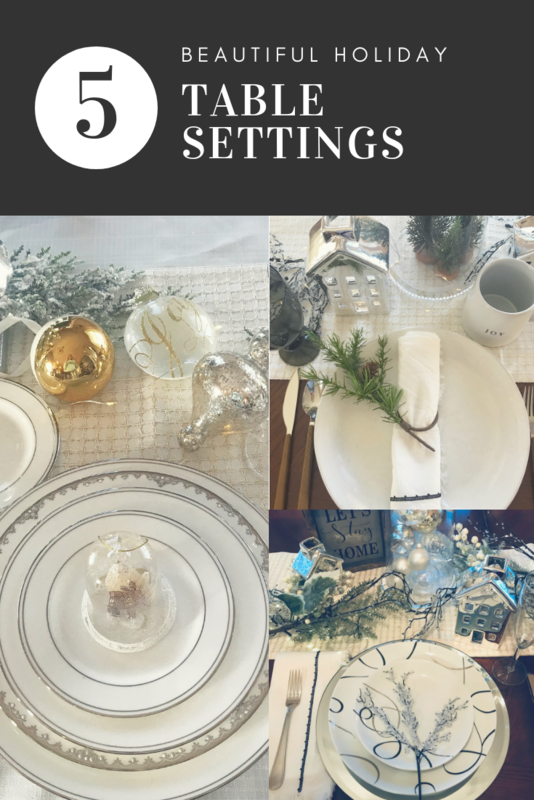 Today we are sharing some great tablescapes to get you inspired this holiday season! 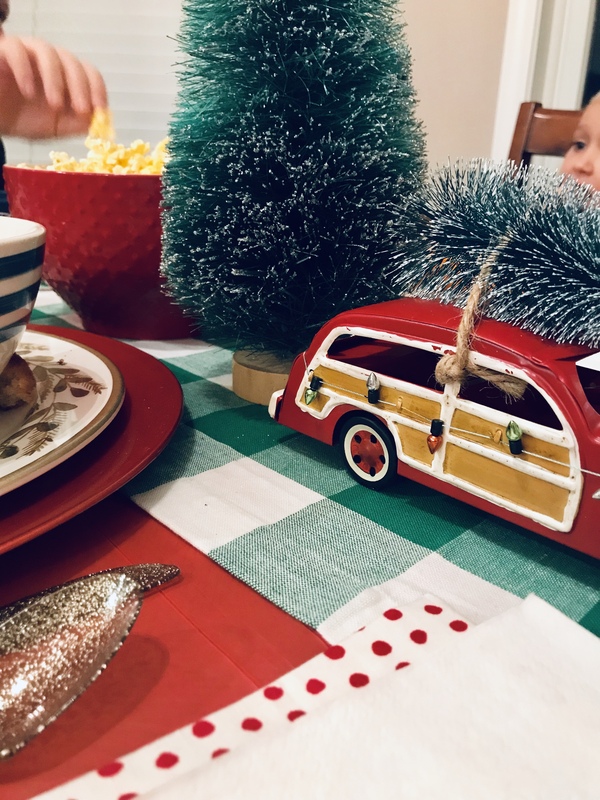 Perfect for family dinner, family movie night, or any night, this table features colors and details that the kids will love. 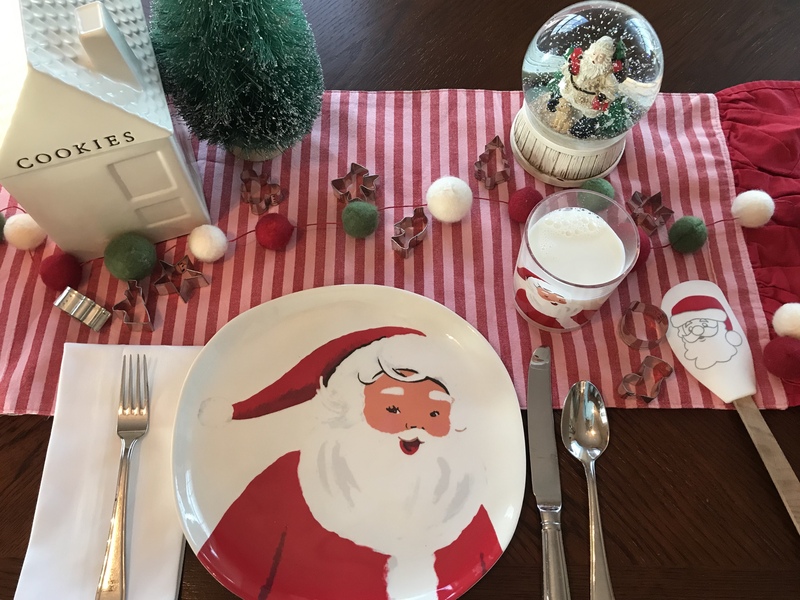 The dinner plates are melamine which is safe for the kids. 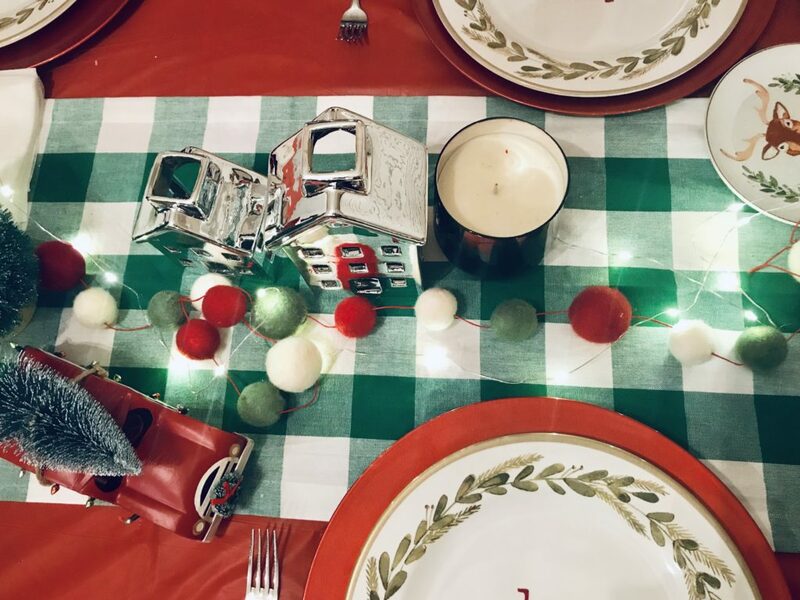 The chargers are a festive way to dress up the table, even if using paper plates. This one is Joanna approved! 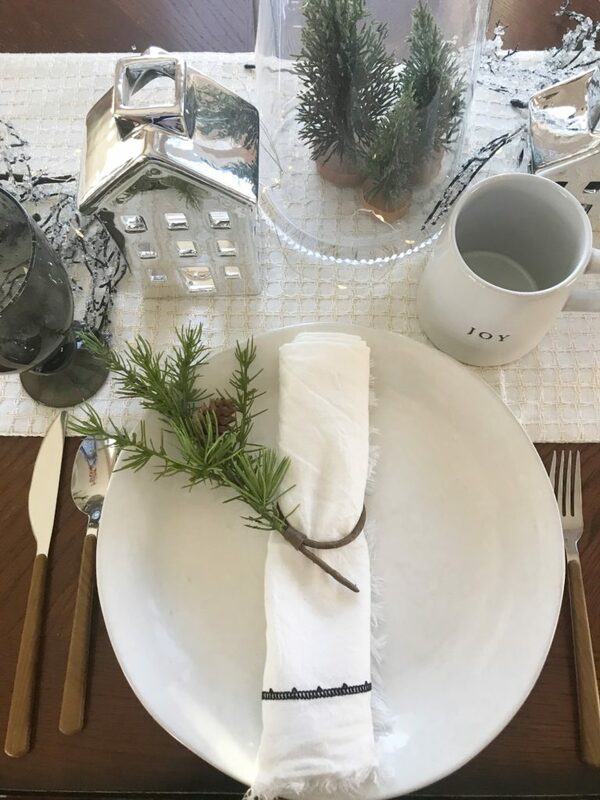 This would be the perfect table to set for a Christmas lunch or brunch. 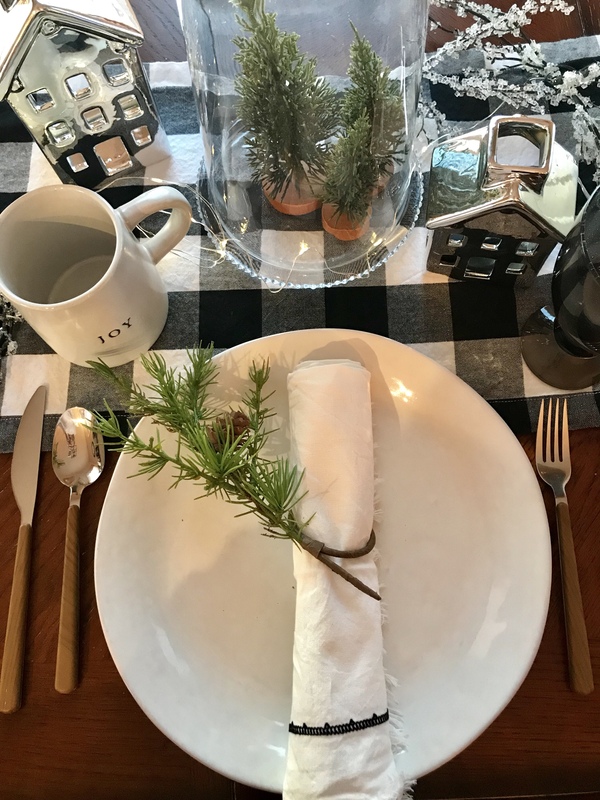 There are just so many uses for the gingham runner that Rachel found a few months back! You’ll notice these adorable silver houses in a lot of the pictures. They are so easy to move around from room to room, shelf to table. Definitely a great addition to my décor this year. I have also really been loving the dew drop lights. These can be put anywhere and set on a timer. There is nothing to plug in…just grab a couple AA batteries. They have been moved around my house all season! 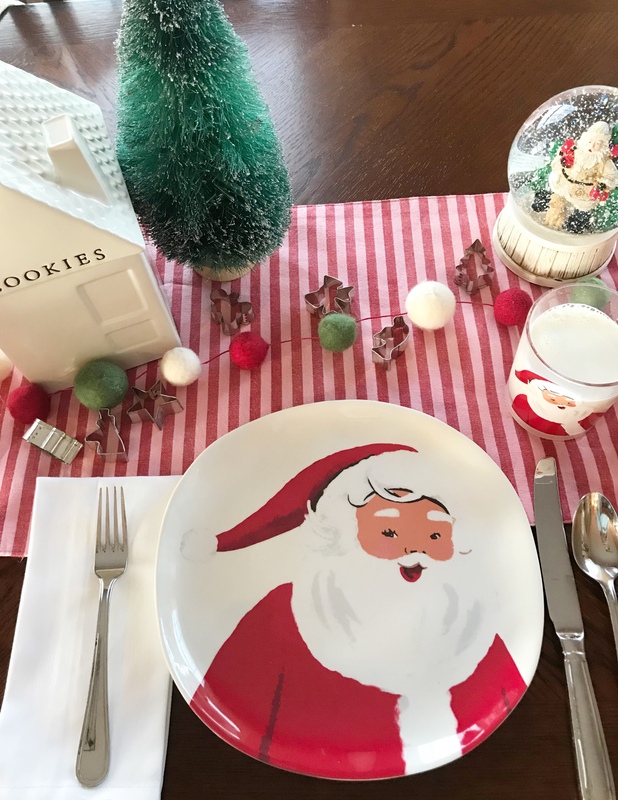 Set out something festive when everyone is coming over to decorate cookies. Christmas cookies are the best! 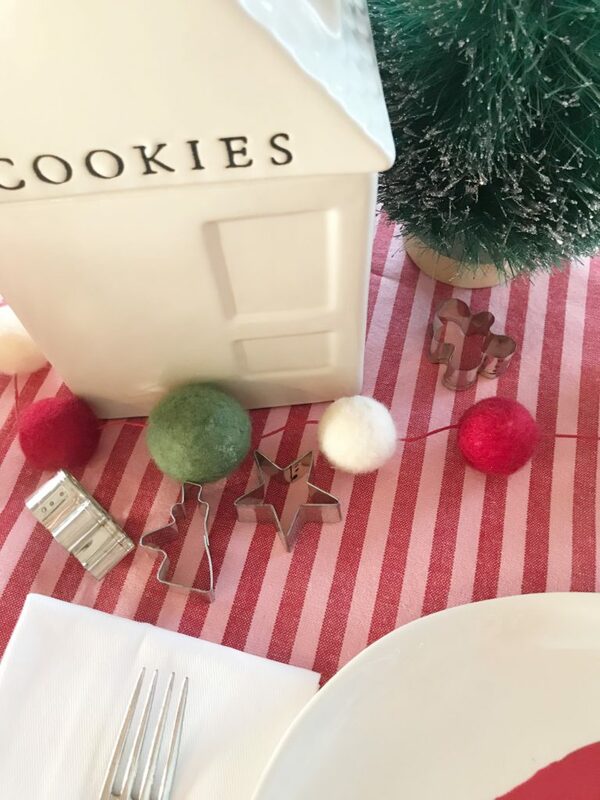 Use things already in the kitchen…seasonal cookie cutters, cookie jar, and spatula. 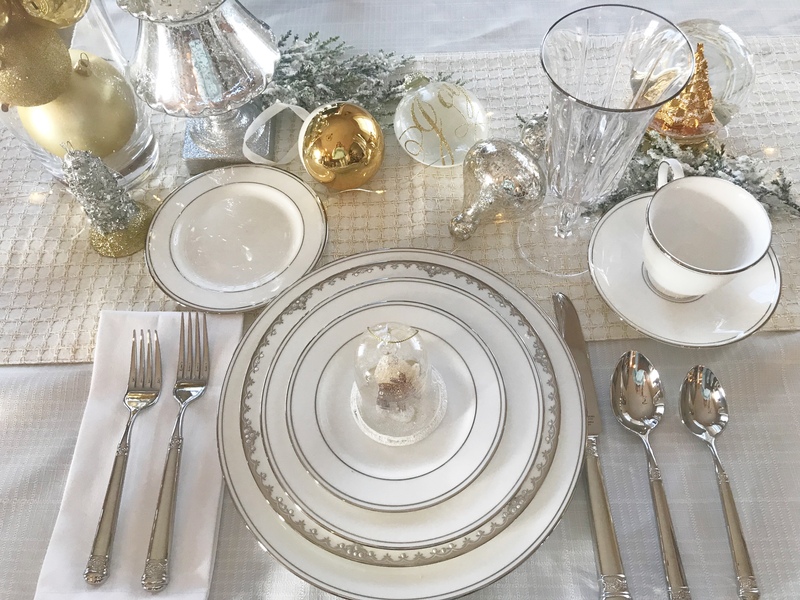 For your fanciest dinners, set the table with your good plates. 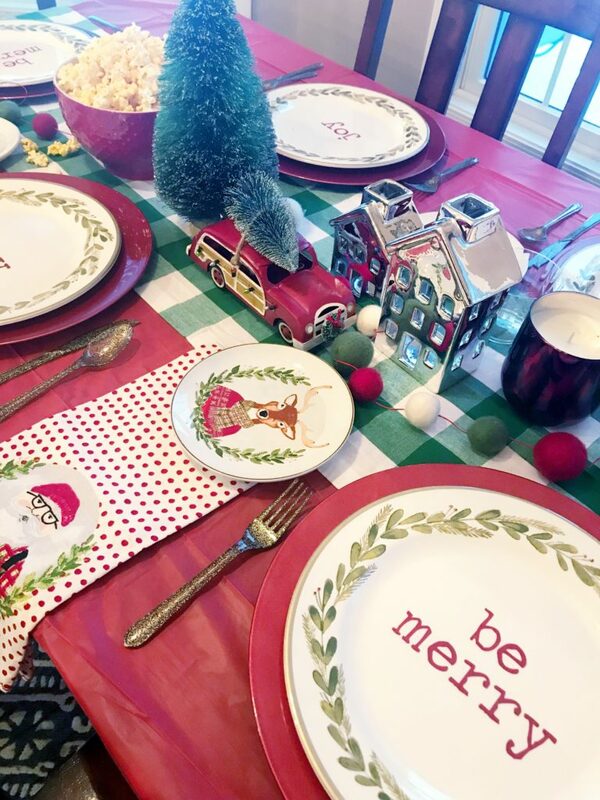 Sometimes the décor can be as easy as grabbing a few ornaments off the tree! 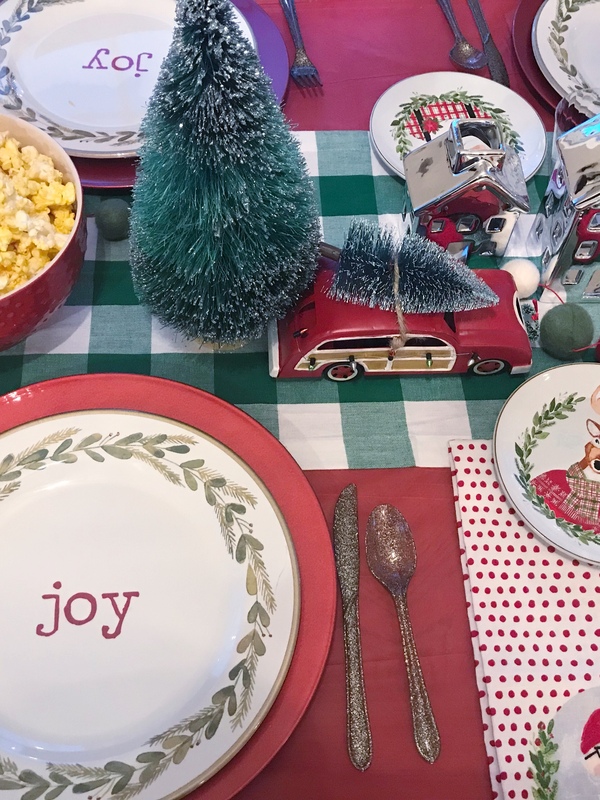 Consider grabbing a few extra ornaments when they are on sale to place at each place setting. 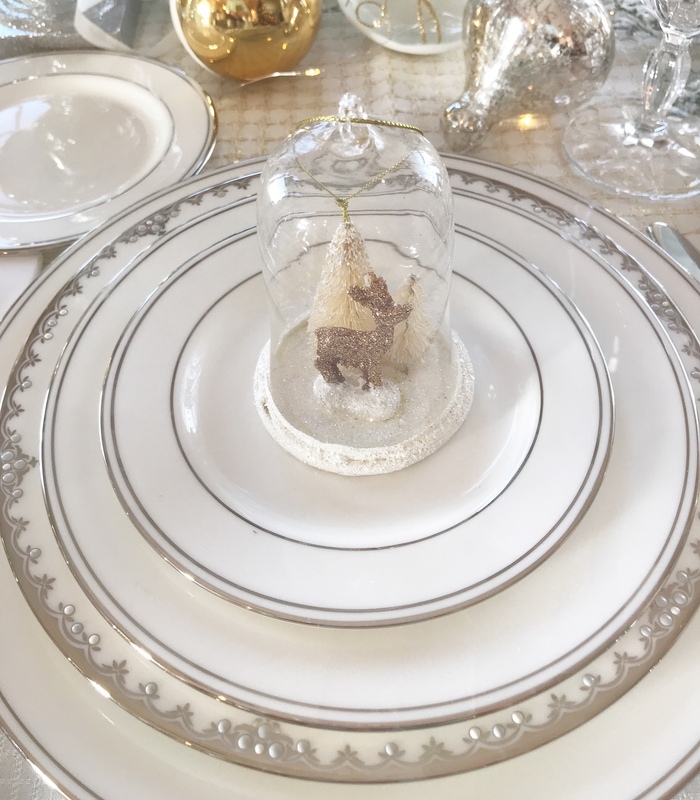 They will make a sweet little favor that your guests can take home. 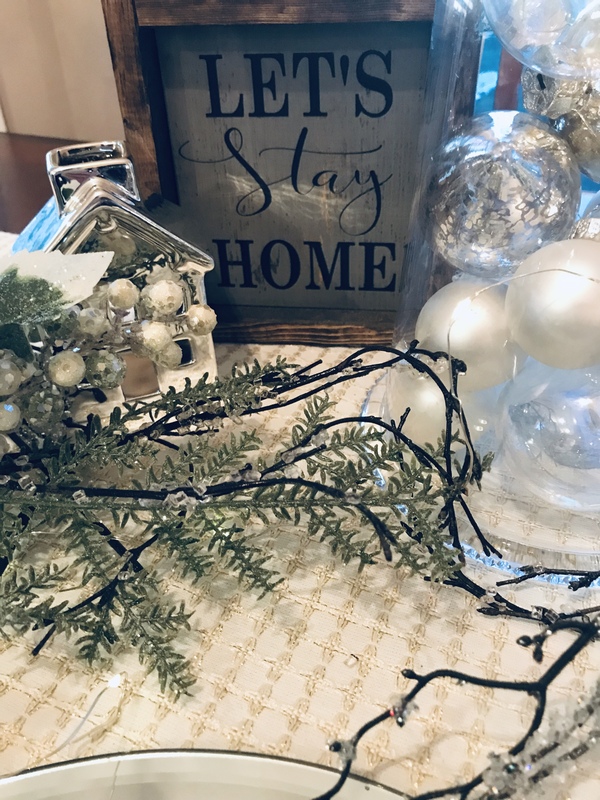 NYE is extra special when you stay home! 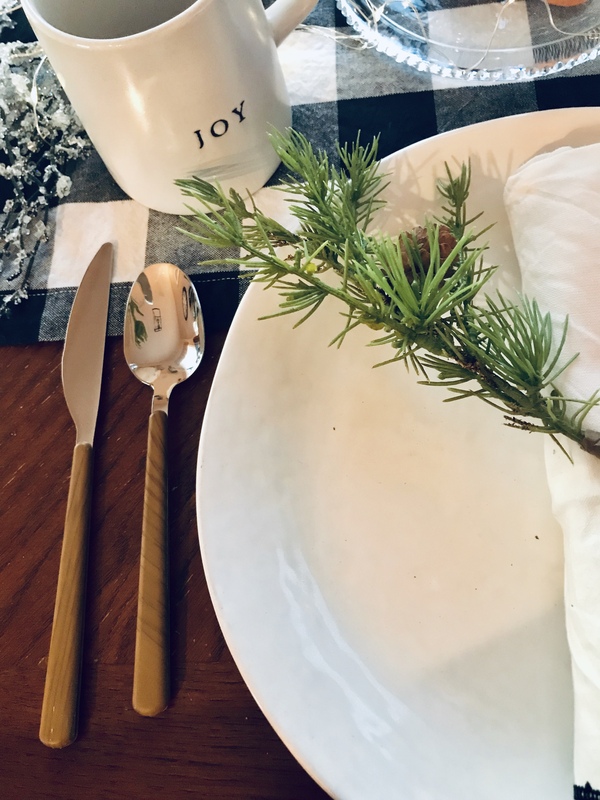 We have a tradition of cooking fancy food and staying home with the kiddos. There is too much hype around new year’s plans. Staying home in slippers is the right choice!